Organic makeup is a good option for your skin because it contains plant materials and natural minerals found from the surface of earth. It does not contain any synthetic color, chemicals and artificial scent which are harmful for your skin. Organic makeup is very skin friendly and is helpful to enhance your skin’s beauty without risk of damaging it. It is also ideal for sensitive skin. 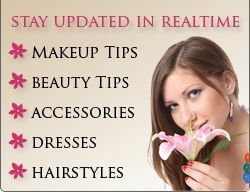 Organic makeup is useful to decrease wrinkles and dark spot from your skin and make them healthy. 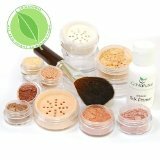 Whenever you use any organic makeup product it is difficult to know that how much organic it is. That’s why it is necessary that you have some idea about ingredients used in organic makeup product before using it. Below I will try to provide you a list of common and frequently used ingredients in organic makeup products, which will help you to buy a right organic product. Aloe Vera oil, chamomile, Apricot Kernel, Tocopherol Oil, Shea Butter, Carrot, Wheat Germ Oil, Safflower Oil, Purified Water, D-Panthenol, Grapefruit Seed Extract, Natural Gum, Sugar-Cane Ethanol, Jojoba oil, Castor oil, sesame oil, cocoa oil ,coconut oil , Fractionated, Meadow foam Seed Oil and mica are the commonly used ingredients of organic makeup products. As earlier I told you that the organic makeup contains plant materials and its substances but it doesn’t mean that they are 100% safe. It is because some plants also do contain powerful toxins and other harmful chemicals. So you have to be careful when you are choosing an organic makeup product and should avoid this toxin and harmful chemical based products. Some of the hazardous ingredients that can be in your makeup would be Crystalline Silica, Hydrosols, Coal Tar Dyes, Sodium Lauryl Sulfate, Mineral Oil, Triethanolamine, Mineral Oil, Paraffin, Petrolatum and Parabens. Organic makeup products which would contain ingredients like aloevera, chamomile, and jojoba are good for dry and sensitive skin and also very effective against sun burns and other skin problems. As organic makeup product contains plant materials and natural minerals they are much good in comparison to conventional makeup products. Due to their ingredients, organic makeup makes your skin healthy and also moisturizes your skin. Conventional makeup products do contain chemicals and synthetic colors which are harmful for your skin.